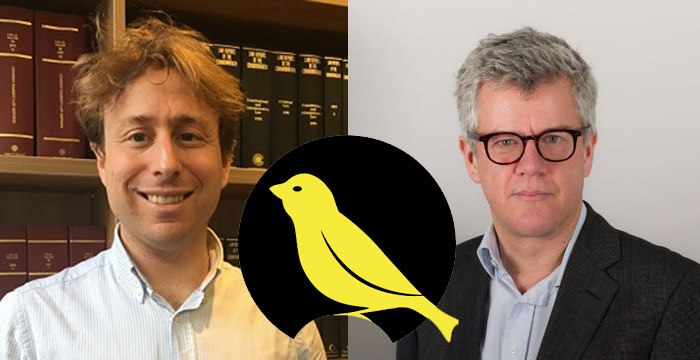 Two legal-goliaths of the Twittersphere have come under fire after comments they made on the social media platform attracted the attention of left-wing news website The Canary. Adam Wagner, a barrister at human rights set Doughty Street Chambers, and Jolyon Maugham QC, a tax specialist at Devereux, were targeted by the website (and its outspoken editor) in two separate incidents this week. First up, Wagner. The much-followed public law specialist drew criticism on Twitter after he appeared to suggest that some Labour supporters were citing the ‘Windrush Scandal’ in response to accusations of antisemitism within the party. The initial tweet was picked up on by The Canary’s editor-in-chief Kerry-Anne Mendoza, who described it as “sheer ignorance” and “beggars belief”. Windrush is the scandal that saw my grandad’s generation being deported or dying of cancer untreated because they were denied NHS care. According to Wagner, Mendoza’s “misrepresented” response triggered a flurry of online abuse, some of which suggested he was “a racist”. OMG woke up to a pile on (hundreds of tweets calling me a racist) after the Canary editor misrepresented one of my tweets. I’m distraught. In a series of follow-up tweets, the Doughty Street barrister stressed he wasn’t trying to play down the seriousness of the immigration scandal, but rather highlighting, in his opinion, the unconvincing “what about Windrush” argument put forward by certain Labour supporters in response to claims of antisemitism. The Canary’s barrister-bashing didn’t stop there. In a separate spat, the website itself ran a piece yesterday slamming Maugham after he said it was wrong to say the Conservative government was “waging war” on the low paid or poor. The Canary in turn took issue with the Devereux barrister’s tweet. In an article titled, ‘The barrister who said the DWP isn’t ‘waging war’ on the poor should have checked his tweet history’, the website said: “There were several problems with his [Maugham] assertion. The one that really sticks out is that Maugham himself has — you guessed it — previously described the Tories as waging war on the electorate.” The site then went on to produce examples of where Maugham had used similar rhetoric in reference to Brexit and millennials. Maugham, having the last word on this, conceded that he had used the term “war” in the past and that he “should have been more aware” of the language he was using at the time of his older tweets, but defended his record on expressing increasing concern over loose “political discourse”. That’s a fair point. It’s also fair to say that if you search my timeline you will see a growing concern with the corrosion of our political discourse. I should have been more aware of that risk in 2016. The post The Canary goes after legal Twitterati royalty appeared first on Legal Cheek.